Celebrate our independence from Pennsylvania and the British Crown! Delaware was born on June 15,1776 when it enacted measures to separate itself from the State of Pennsylvania and Great Britain! Join us for a two day celebration in the town where it all took place! 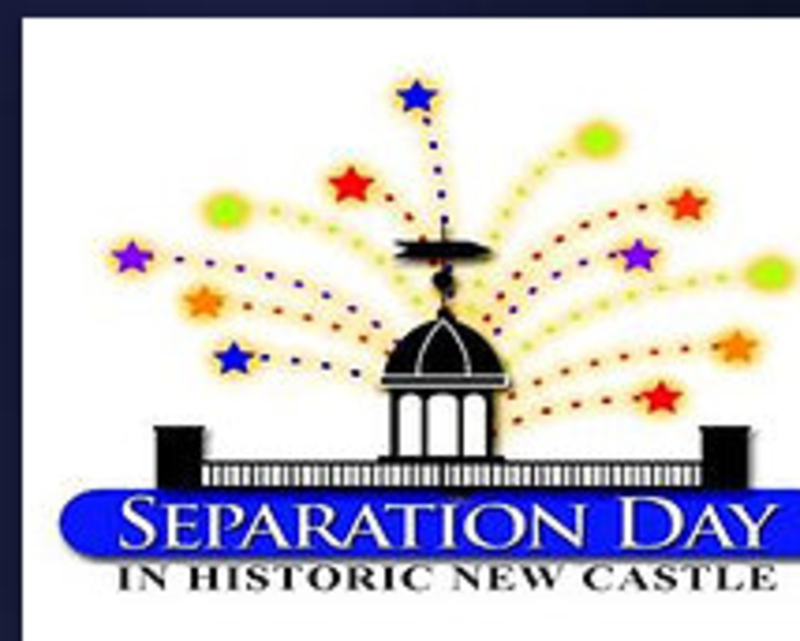 The two day festival, which is held in Historic New Castle, includes live entertainment, demonstrations, arts & crafts, a 5K run, amusement rides, a parade, craft beers, food trucks, and food vendors. Friday 6:00 PM-9:30 PM - Enjoy live music, craft beer and food trucks in a block-party setting in front of the historic New Castle Court House (built 1732). Admission is free (Friday only). Food and drink will be available for purchase with tips benefiting New Castle’s Minquadale and Goodwill volunteer fire deparments. 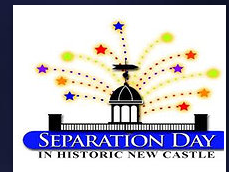 On Saturday at 11:00 AM, the Separation Day Parade begins - known for being one of the most charming and entertaining parades in Delaware. Re-enactors, bands, dance teams, classic cars, sports teams, mascots and a string band in a judged parade that proceeds along Delaware Street into Courthouse Square. Gates open at noon (immediately after Separation Day Parade) for the Colonial BBQ Competition, so come on in for great live music, arts & crafts, vendors, kids rides and attractions. BBQ and chicken wings will be for sale! In addition, New Castle-based nonprofits will be offering a wide variety of food and drink items (hamburgers, hot dogs, sausage and peppers, funnel cake and more!). The proceeds will benefit their organizations. Live bands will be performing from noon to 9:30 PM. The festival culminates with a spectacular fireworks display over the Delaware River beginning approximately 9:30 PM!